I have always been interested in how individuals with both mental health and long-term conditions can manage their illnesses within primary care. My work as a senior research assistant has motivated me to study for a PhD in Primary Care and Population Sciences to explore patient attitudes, behaviours, and intentions towards depression management in primary care. Empowering one patient to self-manage their depression will not only reduce the burden of the illness on themselves but the burden the illness has on so many primary care resources. Rachel’s research interests primarily lie in the role of patient self-management of depression within primary care. 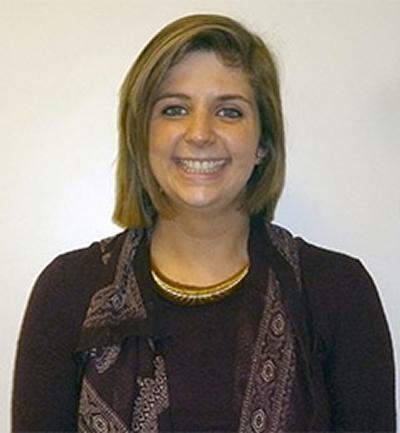 After completing both her undergraduate and postgraduate degrees with the School of Psychology at the University of Southampton, Rachel worked as a senior research assistant on a multitude of projects within PCPS, before starting her PhD in October 2015. Rachel is studying for a PhD funded by the NIHR School for Primary Care Research (SPCR), exploring patient and health professionals’ attitudes, behaviours, and intentions towards long-term depression management in primary care, under the supervision of Professor Tony Kendrick, Dr Ingrid Muller, and Dr Felicity Bishop. Rachel has skills in qualitative research and analysis and uses these skills to answer research questions related to patient and health professionals’ views, experiences, and understanding of illnesses and self-management tools in primary care. Her PhD will involve mixed-method approaches to research. Rachel spent seven months working as a research officer for the Primary Care Research Network (SW) which enabled her to gain experience about the role of research within primary care and how studies are set up and run within the network. Rachel was able to transfer these skills to coordinate two qualitative research studies. One study was investigating breast cancer patients’ views and understanding of a mindfulness-based intervention (CI: Dr Caroline Eyles); while the other study was a qualitative analysis in understanding the delayed prescribing of antibiotics for respiratory tract infection in primary care (CI: Dr Geraldine M Leydon). As well as being the trial coordinator for these two studies, Rachel conducted qualitative interviews with participants. Postgraduate Research Student Representative for PCPS. Peer reviewer for NETSCC and British Journal of General Practice.